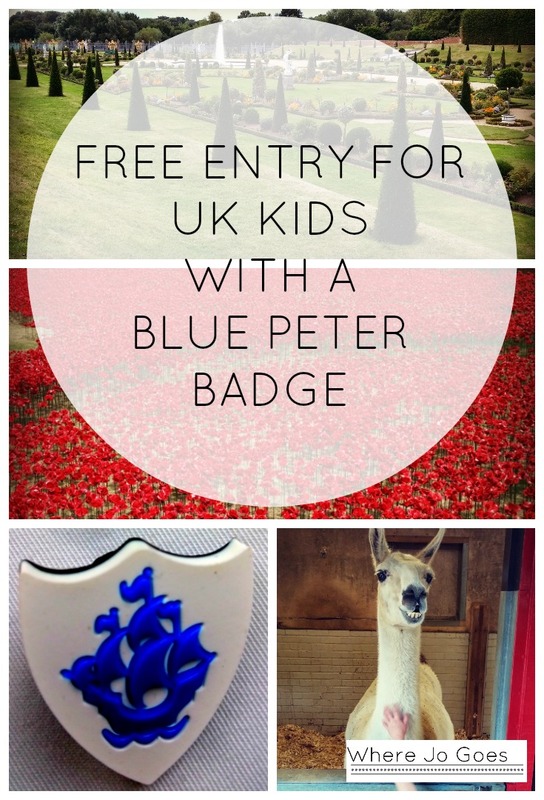 If you live in the UK, have a child age 6-15 and like days out and visiting attractions then your child needs to get in free with a Blue Peter Badge! This iconic childhood emblem of one of the nation’s most enduring and popular kids’ TV programmes, BBC’s Blue Peter, gets your travel-savvy kid free entry into over 200 attractions all over the country. From Scotland to Wales, Northern Ireland via England to the Isle of Man, the badge gives your child free access to castles, museums, zoos, aquariums and historical sites nationwide. Full instructions are on the website here. In my childhood there was one blue and white badge. There are now several available so keen kids can collect them all. They all get you in free to attractions so there is no advantage to one over any other in that respect. THE BASICS – your child needs to write to Blue Peter a letter of at least 50 words and explain which badge they are applying for and why. Your child may want to include a picture, poster, story or artwork. My daughter got hers for her plasticine models of the Blue Peter pets but note I think they prefer you to send in a picture of such things rather than the actual model. For the Green Badge your child should write about nature, wildlife or conservation. For the Purple Badge your child writes a review of the programme using the form here. There are other badges for sport and for competition winning and if your child already has a badge and writes again, they can earn a silver badge. Badges do take a couple of months to arrive so apply early for those school holiday days out. 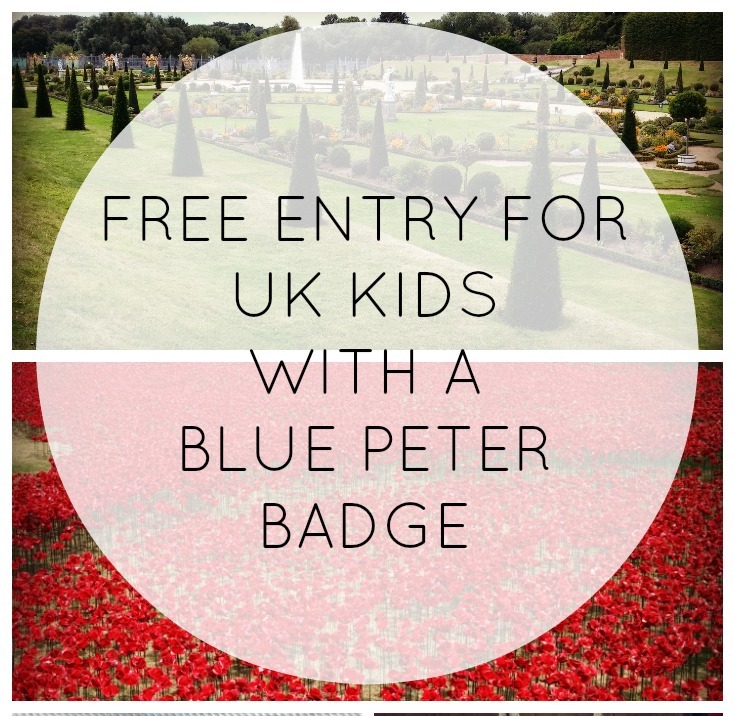 Once the badge has arrived it’s another few weeks until your child gets their Blue Peter photocard – it’s this they need to get in free rather than the actual badge. You stick their photo on and, hey presto, head for the nearest participating attraction. Your child can use the photocard to get free entry until they are 16. 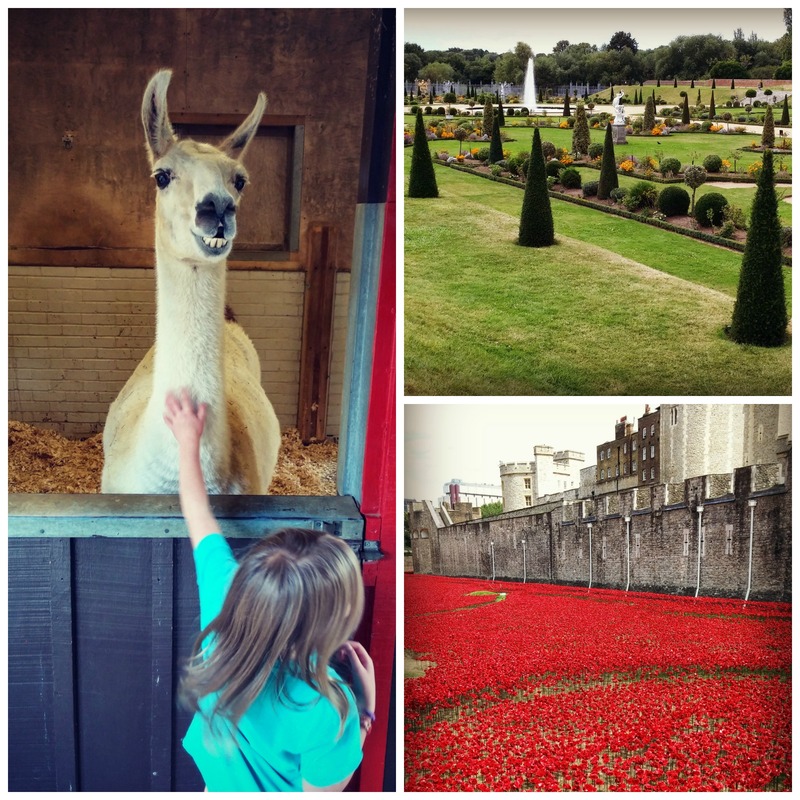 We’ve used the Blue Peter photocards to enjoy days out at the Tower of London, London Zoo, Hampton Court, HMS Belfast and Shakespeare’s Birthplace, amongst others. 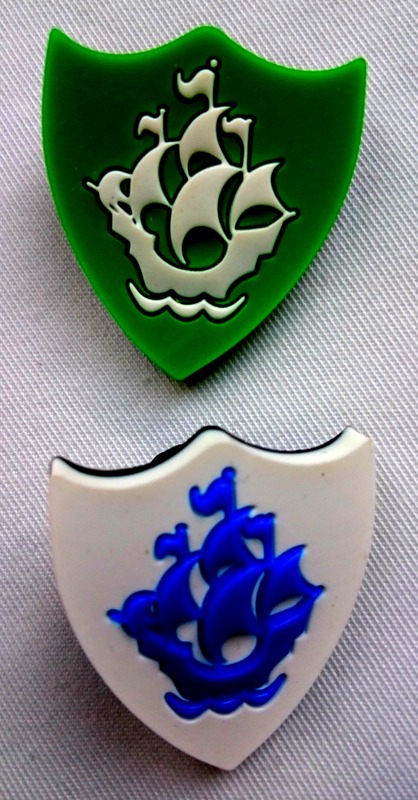 I still have my 80s vintage Blue Peter badge <shines halo>. I’ve moved house many times and decluttered many times but somehow that little piece of blue and white plastic always stays in the back of my jewellery box, a surviving remnant of my own childhood. Good luck with your badge applications and enjoy your many years of getting the kids in free! So many great places to use the badge in London! Thanks for reading. Yes I think when I had mine you just flashed your badge to gain free entry like a VIP! All changed now! Thanks for reading. We’ve been to so many great places with the children getting in free and the great thing is it lasts till they are 15! It’s so cool they can get one for doing something fairly small, I always used to think they were really hard to get but turns out they’re not. Now to persuade N to write something to get one! Yes they take a few weeks to arrive but are straightforward to get!